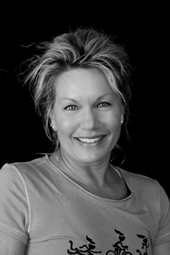 Lynda has been with Superior Athletic Club since 1987. 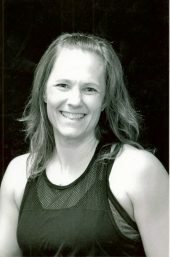 She is the Group Exercise Director for Superior Athletic Clubs and is Assistant Manager at Superior Athletic Club 2 and along with being part of our personal trainer and group exercise teams. 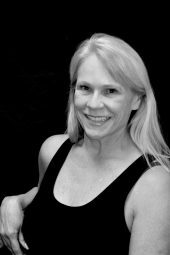 Lynda has personal training and group exercise certifications from the Aerobics and Fitness Association of America, Ace Council on Exercise, National Academy of Sports Medicine, Body Training Systems, YogaFit and Kinesis. She loves the camaraderie and support that comes from working in the fitness setting. 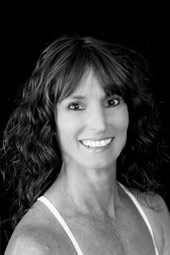 Lynda successfully teaches classes from Group Power, Strength Circuit, Spin class, TRX or a relaxing yoga class. When not in the club, she can be found pedaling her bike, keeping her garden beautiful or spending time with friends and family. Komoki has been in the fitness industry since 2001. Her current certifications include the National Federation of Personal Trainers, Apex Nutrition and Fitness and EFI Gravity. Komoki feels that the two most important aspects of health and fitness are that your workouts need to create a sense of challenge and enjoyment while coexisting with proper support through nutrition. Both can and should go hand and hand. She is positive, upbeat and loves a good challenge. May it come from a good workout, creating a new healthy recipe, or adventuring down a new avenue while gaining knowledge from a different perspective. “ Happiness is a state of activity,” get moving and do the things you enjoy. Jodi has been a certified trainer since 1990. She specializes in sports conditioning, post injury, and prevention of injury. She possesses a very strong aquatic background. 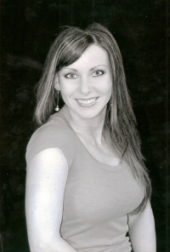 Jodi is a graduate from SOU in Health Promotion and Fitness. She is an active competitor in triathlons and races. 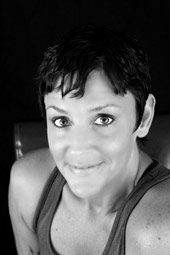 Over the course of her 30 years in the fitness industry she has been certified through a long list of continuing education programs. She can help you find your WHY to a healthy and happy lifestyle. Danielle was a science teacher for 8 years before having two fantastic children. After losing 50 pounds through healthier eating and a whole lot of exercise she applied her love of teaching into the fitness world. Danielle is certified in personal training through the National Academy of Sports Medicine and is also certified in Group Groove, Centergy, Group Fight and Group Power. She also holds certification in LaBLast Dance program and YogaFit. Danielle offers a wide variety of exercise options to meet your fitness goals. Autumn is certified through the National Academy of Sports Medicine and is a certified group fitness instructor through the American Council on Exercise. She has years of fitness experience including additional certifications in Group Power, Group Active, Group Core as well as an aquatic exercise certification. Autumn enjoys working with diverse populations including clients with goals of muscle gain, fat loss, and those who have never stepped foot into a fitness center. Her focus is on designing safe, fun, realistic programs that adhere to healthy lifestyle changes. Erik grew up on a 400 acre ranch in Glide, Oregon; since a young age, her has always been active. In school, Erik played just about every sport offered: cross country, football, basketball, baseball, and track. Being one of the skinnier guys, he started lifting weights at the age of 17, and has been passionate about fitness ever since. Later in life, he had a brief stint training Mixed Martial Arts (MMA). Erik’s everyday work ranged from being a supervisor at a Fortune 500 company, to publishing audiobooks. 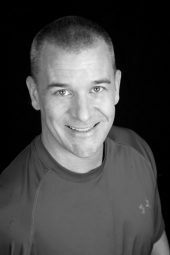 His passion for fitness inspired him to take a leap of faith, and become a personal trainer, certified through National Academy of Sports Medicine (NASM). Erik believes that there is no better feeling than knowing you have made a positive change in someone’s life. Lynn started teaching aerobic classes in 1979. She graduated from Southern Oregon University in 1985, and worked at the Ashland fitness Center for four years after graduation. She joined Medford Superior Courts in 1989. Lynn was part of the staff during the pool, gym, and weight room additions at the Cardley location, which led to the name change of our business to Superior Athletic Club. 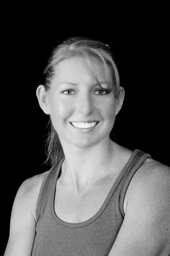 She is certified to teach Group Ride and has continued her education to maintain her personal training certifications. Sue has been in the fitness industry for over 30 years, since leg warmers and headbands were in style! She has a BS in Kinesiology from San Jose University, and certifications with ACE-PT, AFAA, Spinning (R), Les Mills CSWORX, Power Plate, and TRX Suspension Training. 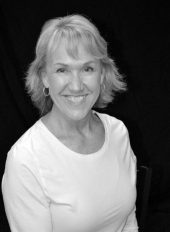 Sue has taught specialty groups, including junior tennis players, pre/postnatal women, mature Boomers, and women’s groups. Her class repertoire includes cycling, body conditions, boot camp, circuit training, ab/core work, aqua fitness, and low impact strength and cardio. After almost ten years of being the Group Movement program manager for Google, she decided to retire and move to Shady Cove. She loves the outdoors: hiking, biking, rafting, gardening and exploring. Sue is thrilled to be living in Oregon and be part of the Superior Athletic Team.